We may be a little biased but Colorado falls are the BEST! 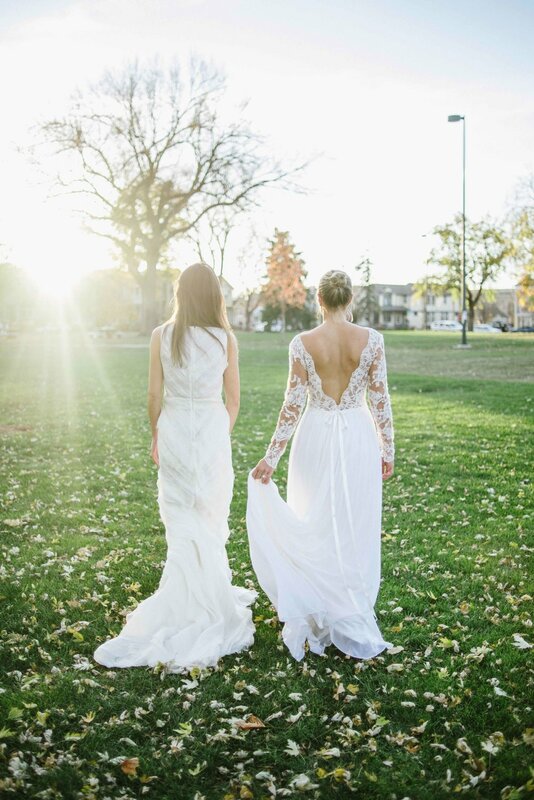 With Curtis Park just around the corner from Little White Dress and all these beautiful leaves falling, we just had to get a couple LWD girls dressed up to take photos! 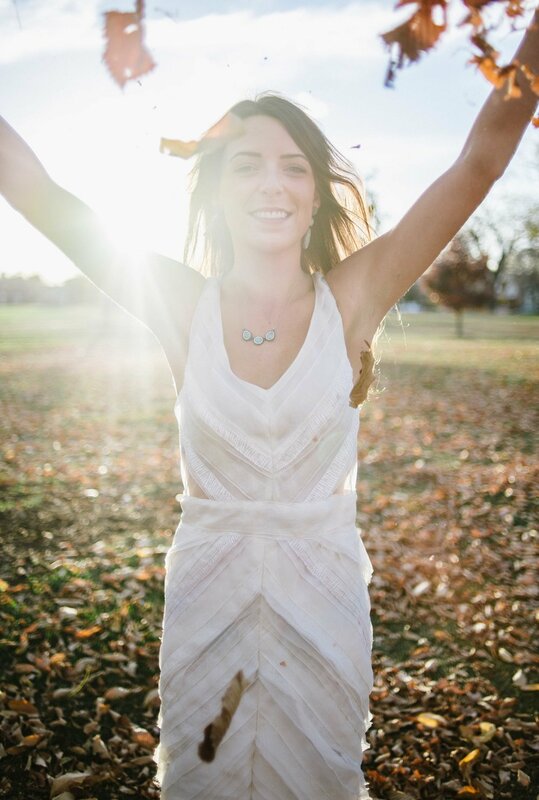 So here is some inspiration for all these brides dreaming of a fall wedding in Colorado. Our first featured gown - Leyland - is brand new from the Anne Barge Couture Collection. This delicate long sleeve beaded Chantilly bodice with a deep illusion V-neck is perfect for an outdoor fall wedding. The top melts right into a floating silk chiffon skirt, which is great to play with for some stunning photos! The second gown we'd love to highlight is "Zoe" by J. Mendel. With a complete different look and feel, this gown is refreshingly unique. The Pico edge strip technique with a raw-edge organza ruffled skirt adds some dimension to this dress and creates an extremely flattering silhouette. Both girls are wearing jewelry from our recently opened "Eden" boutique in the garden level of our gorgeous building. 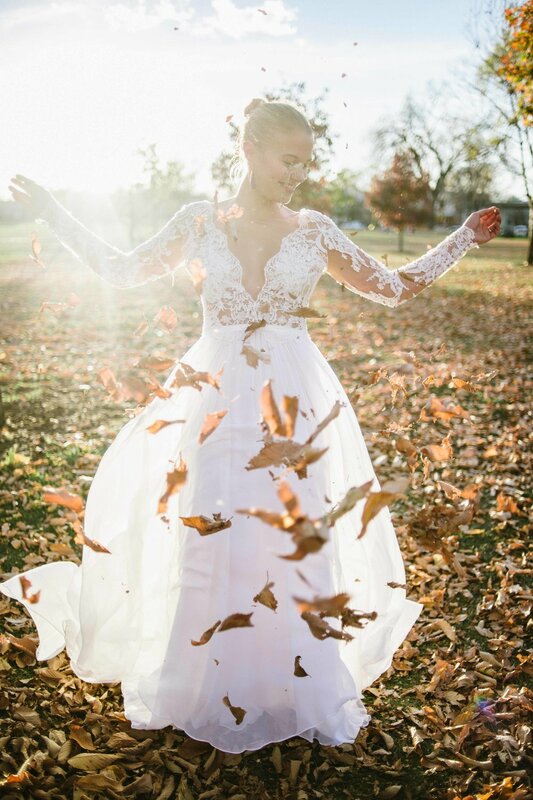 Looking for your perfect wedding dress? Schedule your appointment today! 1st Gown: Anne Barge "Leyland"
2nd Gown: J. Mendel "Zoe"